On November 01, 2107 Reed Art & Imaging was officially activated as the preferred print partner for the Fort Collins, Colorado based Fine Print Imaging. 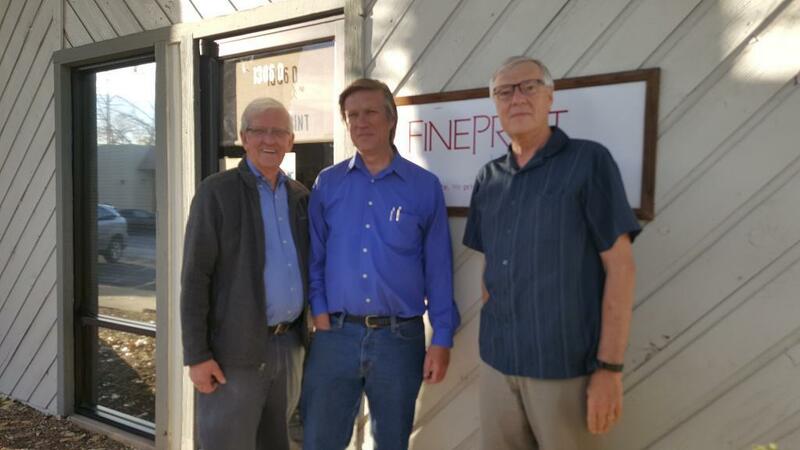 Mark Lukes, owner of Fine Print Imaging closed their doors and retired after many decades serving that area’s art community. “I can think of no better print-maker to continue supporting the Fine Print customers than Reed” Mark offered. Notifications to Fine Print’s clients went out several weeks in advance of the closing, with information on the options available to collect their files prior to the closing date. Files that were not collected but were stored on CDr were mostly corrupted due to age and destroyed by Mark and his team. All remaining image files on hard-drive and all uncollected camera films were transferred to Reed Art & Imaging in Lakewood Colorado for the convenience of Fine Print’s customers. Fine Print clients were offered a copy of their files free of charge until January 30, 2018. After that date, a nominal fee is charged to cover the costs of locating the files and transferring them to disk, plus shipping charges where applicable.